From outside, trigonometry may look lengthy, boring, difficult, tedious and frustrating. But it doesn’t change the fact that trigonometry as a topic important for SSC exams (CGL, FCI, CPIO etc.) and CDS exam (Combined defense services). 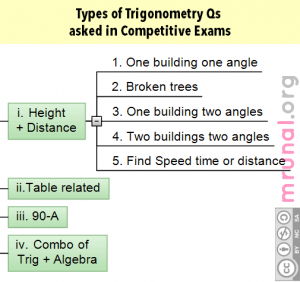 In CGL-2012, at both Tier I and II, there were around 8 questions from Trigonometry alone. The techniques and shortcuts are explained my youtube videos. For example find value of sin430+cos345*cosec260+…something like that. To solve such questions, you’ve to know the sin cos tan cosec sec and cot values of 0, 30, 45, 60 and 90 angles. Again nothing difficult, as long as you know the values. for example find value of tan4 x tan 43 x tan 47 x tan 86. 4. Combo of Trigonometry formulas + Algebra formulas. Let’s start with the first type: Height and Distance related. 1. One building one angle From a ground point that is 400 meters away from a building, the angle of elevation is 30 degrees. Find height of this building. 3. One building two angles or two shadows. As angle of elevation of the sun increases from 30° to 60°, Shadow of a building is reduced by 10 m find the height of this building. 4. Two buildings two angles From a 60 m tall building, the angle of depression of the top and the bottom of a tower is 30 and 60° respectively. Find the height of this tower. 5. Find Speed time or distance. A man on the top of building observes a car moving at a uniform speed and coming directly towards the building. It takes 12 minutes for the angle of depression to change from 30 to 45, how soon after this, will the car reach the building? Most of the questions only have 30, 45 and 60 degrees. 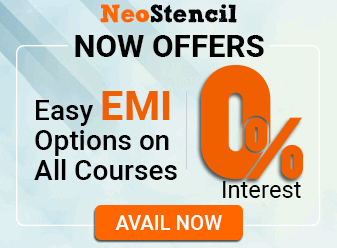 Sir…your Blog is a great help for Freshers like us.. Although its a very small in front of your efforts.. But still Thanks a lot for u fabulous guidance. understand the trigonomatry proving ques.